Congratulations! You have a business license! Now what? Many people go straight to creating social media profiles for their company. They know how to manage their own social accounts, so a professional account shouldn’t be too difficult, right? Just post about personal mishaps throughout the day, share memes, snap a picture of lunch & don’t forget to add in a political post for a dash of divisiveness. If all of this sounds like a social media recipe for disaster, that’s because it is. Professional platforms should reflect company values while speaking directly to their audience. But who is your audience? That’s where a social media consultant steps in. 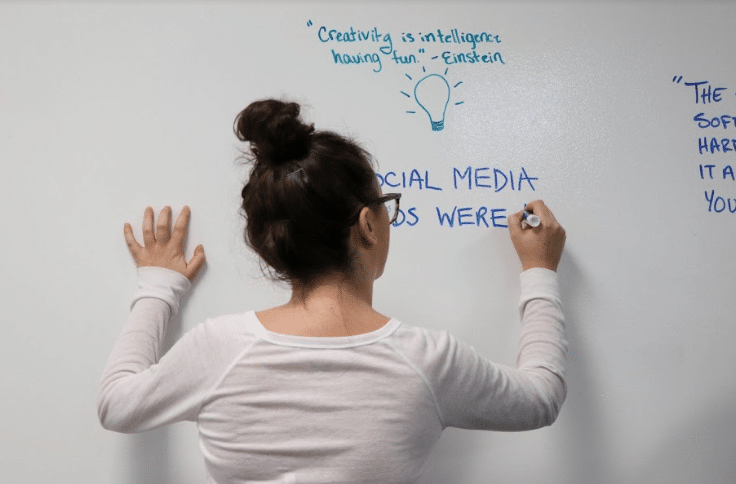 What is a Social Media Manager vs. Consultant? Social media managers will curate content, grow accounts (followers) and increase a presence online. All of those are essential, but need to be thought of as a baseline for social media marketing. So what does a consultant add? According to Medium, “Social media consultants work with you to help you create goals and a strategy that works for you and your business. They can help you implement your social media strategy and keep tabs on it to ensure you’re getting the most return on your investment.” At 98 Buck Social, we are able to take your company’s vision and raise brand awareness, deliver traffic to your website and increase profitability. We bring your vision into our office and combine the power of creativity, strategy, and growth to manufacture a strong online presence. Think of your company’s social media like you’re building a house. A model home has the basics, much like a social media management company. It will serve its purpose and save some money because you aren’t investing too much to really make it your own. But after years of saving and dreaming, shouldn’t you have a say in the design? Shouldn’t you walk through the doors to see that open floor plan and shiplap? Will it cost more? Yes. Just as consulting with a building contractor about the specifics of your home, consulting with a social media pro about customizing your platforms and watching your own vision come to life is an immeasurable benefit. According to Forbes, “Businesses of all sizes can now create major marketing campaigns on shoestring budgets. However, some businesses are killing their brand with poor marketing materials and no marketing strategy. They fail to develop a strategy behind just posting, refuse to invest in quality graphics and don’t engage with their community. They may not see a direct decline in business, but the energy spent posting content is not generating new prospects because people are looking at ill-conceived marketing — and deciding NOT to engage.” So how does 98 Buck Social breathe life back into your platforms? After discussing a strategy with you, we now begin our social media audit, where a social media expert will meticulously go through each of your platforms to ensure congruence, professionalism, and make sure that each account is professionally optimized. We then set up strategy calls to go over our findings, let you know what is and isn’t working, and create a plan of action. All of this is done in collaboration with you, paying close attention to the style of your previous posts and using our team of creatives to enhance your brand. Most companies didn’t create a social media page to keep up with the trends. Rather, it’s because you want to grab the attention of your prospects and draw them to your business. Sometimes companies get caught up in what they think their audience wants, while maintaining authenticity will be the voice that truly stands out above the crowd . A social media consultant can help you plan and create the messages that speak to your audience and have heart. They can help you deliver, track, and adapt your plan to achieve the strongest results. Find out more about our consultant plans today and start drafting up your social media blueprints with 98 Buck Social! Hi I would like to know more info about social media consultant Plan for my agency. Hi Danielle! Someone will be emailing you shortly! Thank you for reaching out.